Irresistible Liberty of London purchased from Patchwork on Central Park. From Ballarat Patchwork some Prints Charming screen printed panels in orange and pink (not shown), and two fat quarters. (The name of the orange fabric escapes me right now - it is from one of the more recent fabric ranges - do you know what it is called?) is Paper Snowflake from Meadowsweet by Sandi Henderson. 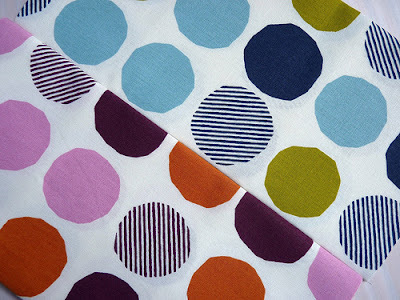 Some Funky Spot medium weight and large scale dotty fabric in Blue/Green and Purple/Pink, as seen here. And then there was the highly sought after Flea Market Fancy purchased from Just Patchwork. It seems this fabric was found that morning in a box that had remained unpacked from a previous quilt show, and I happened to be at the right place at the right time. Lucky! It is great to be in the right place at the right time!! Wonderful fabrics! Wonderful fabrics! Congrats on being at the right place at the right time! You hit paydirt! Lovely! Can't wait to see what you do with those colours! You were indeed lucky to catch those Flea Market Fancy fabrics. Can I say I'm a little jealous? 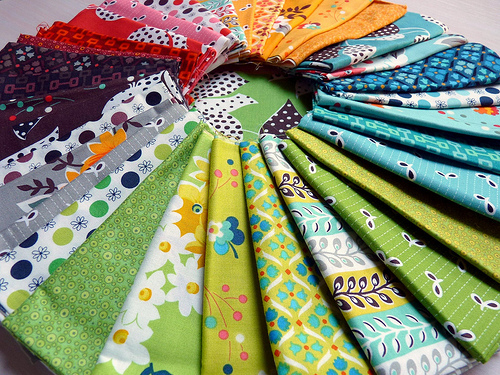 Gorgeous fabric...and I love your header quilt! The orange looks like Meadowsweet maybe??? 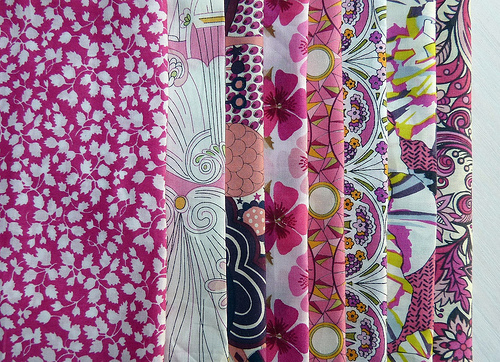 really pretty fabric. love prints charming, and the flea market fancy lucky you! Awesome finds! That was the store I was lucky enough to snag some jelly rolls and layer cakes of FMF last summer. congrats on the great new fabric... especially the FMF!! Love it all. My favorite is the funky spot one :). FMF was a great find. Can't wait to see what you do with it! You are lucky. That Flea Market Fancy fabric is as scarce as hen's teeth. Well bagged! You must have had kittens! Yes the FMF couldn't have gone to a better home! You will use it with joy . Wow! Aren't you a lucky girl! I call that, "clean living" and God blessing you. Lucky you! 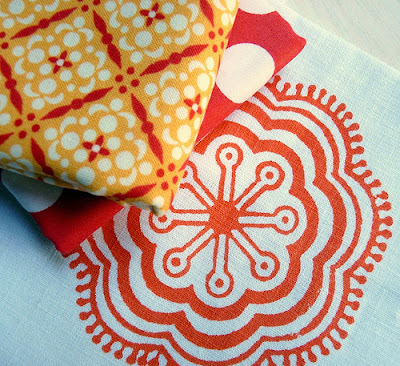 I was all set to say how much I liked the orange fabrics and the the dots -- then I the flea market fancy too. Congrats! I'm feeling green eyed envy! So, so lucky to come across such a fab find. Cant wait to see what you do with it all. LIBERTY OF LONDON!! gorgeous. sigh. swoon.